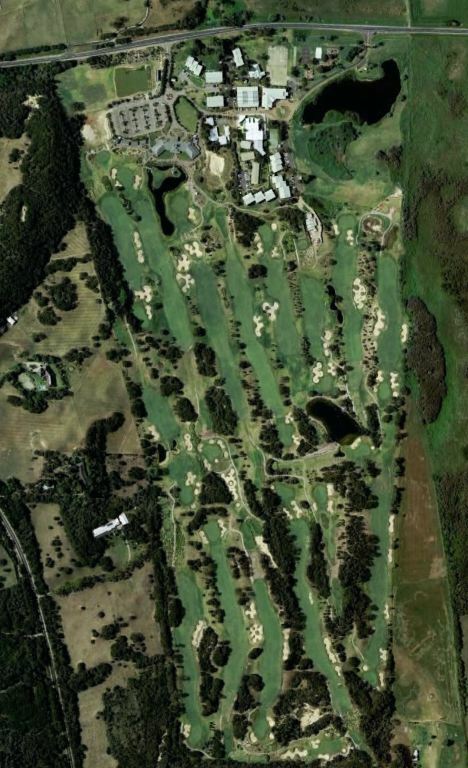 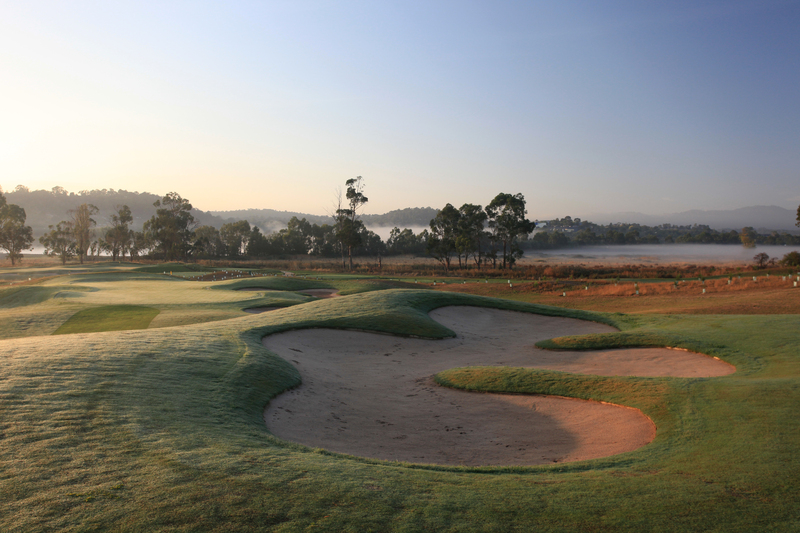 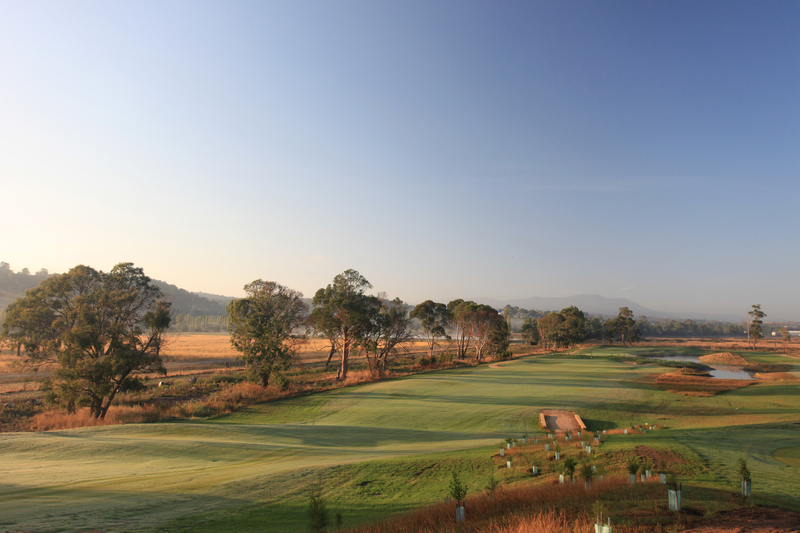 Scone Golf Course is located in the Upper Hunter Valley. 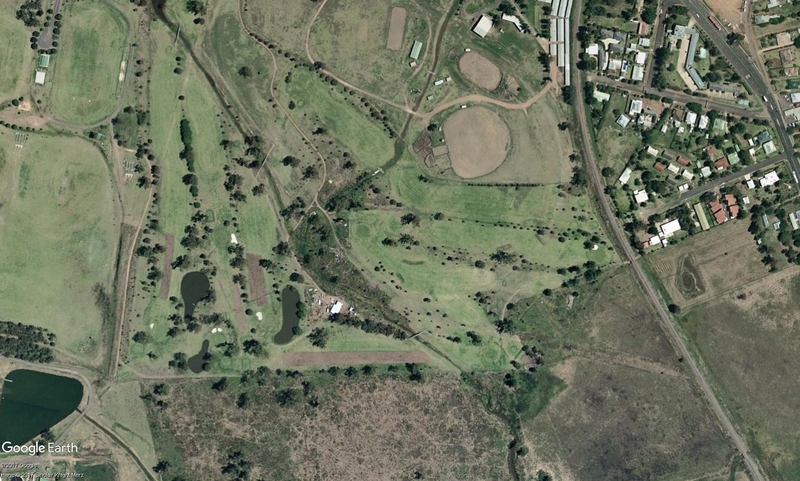 The course is undergoing a redesign to allow for the New England Highway Bypass around the township of Scone. 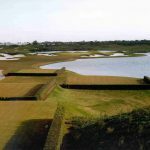 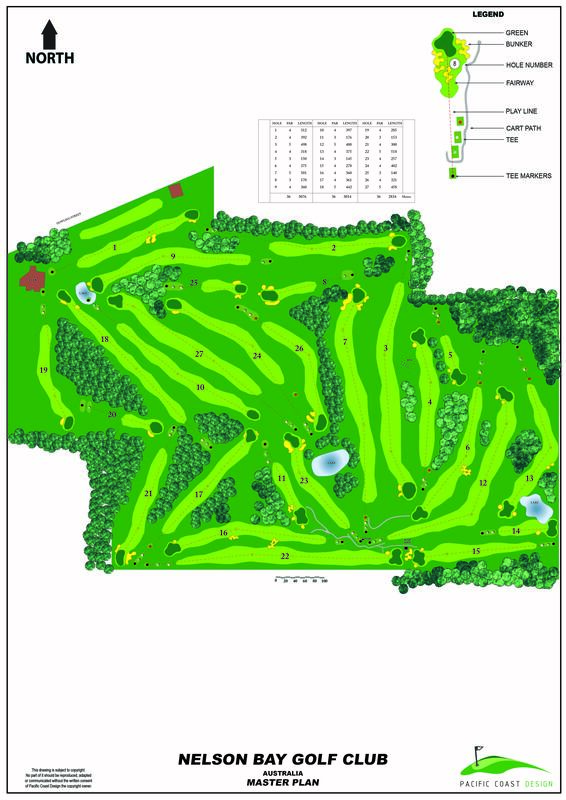 The reconfiguration of the golf holes is to preserve a layout of matching standard, length, par and challenge. 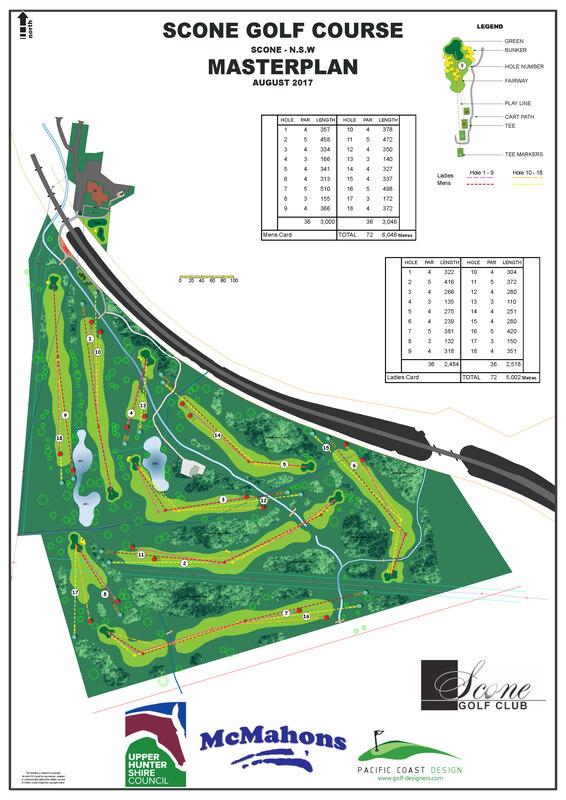 (being 9 actual golf holes using twin sets of tees); and the relocation of the existing practice facilities. 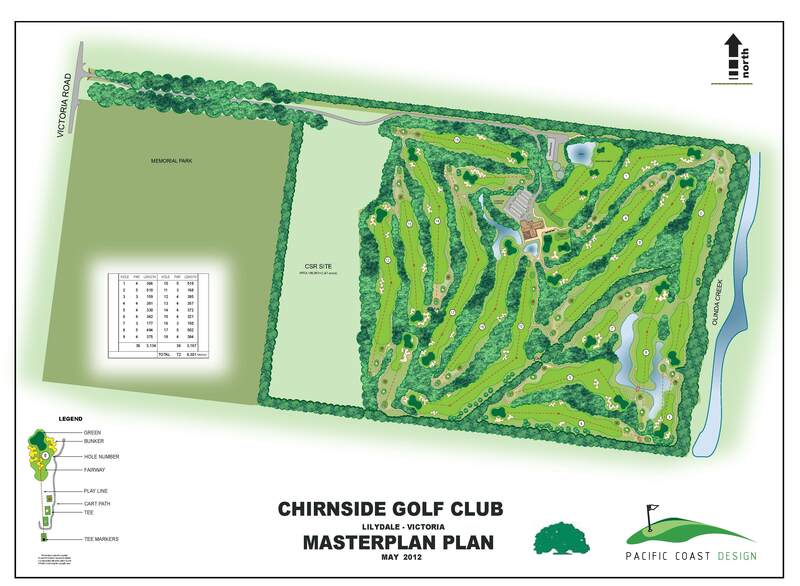 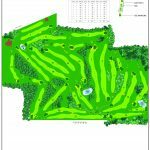 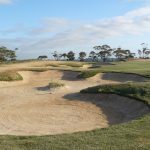 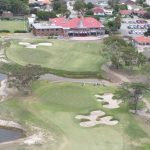 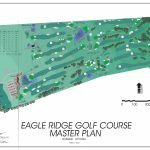 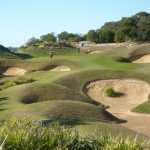 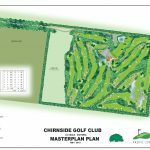 Pacific Coast Design undertook the design of this new 18 Hole Golf Course as part of a relocation for Chirnside Country Club. 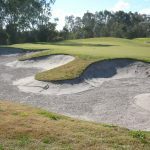 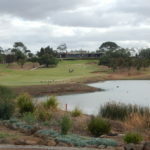 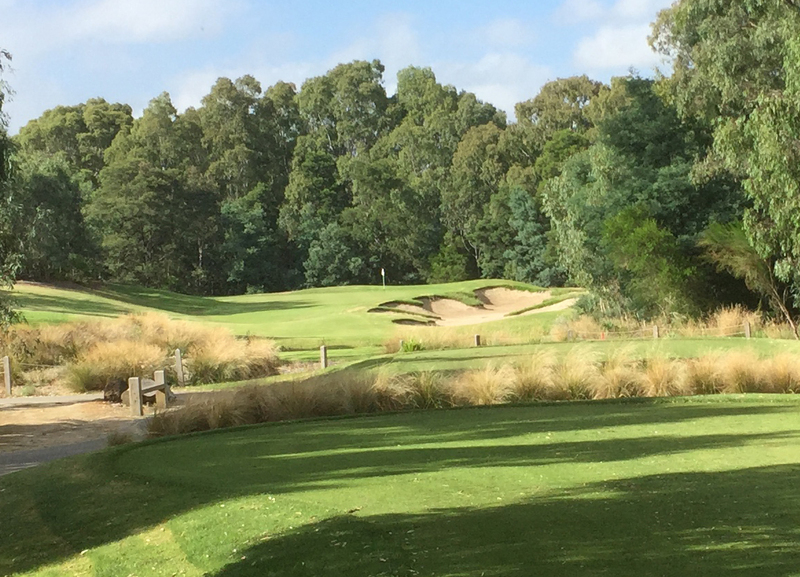 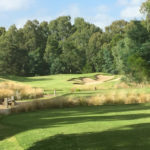 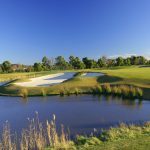 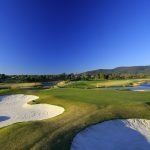 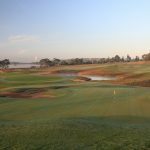 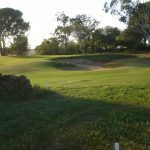 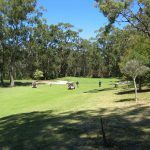 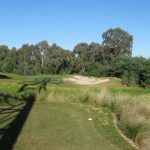 Located on an old quarry site along Victoria Road Lilydale the site has been restored into an environmentally friendly International Standard Championship Golf Course. 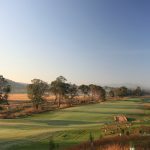 There is a natural creek that runs alongside the site, wonderful undulations and great views of the surrounding and distant mountains. 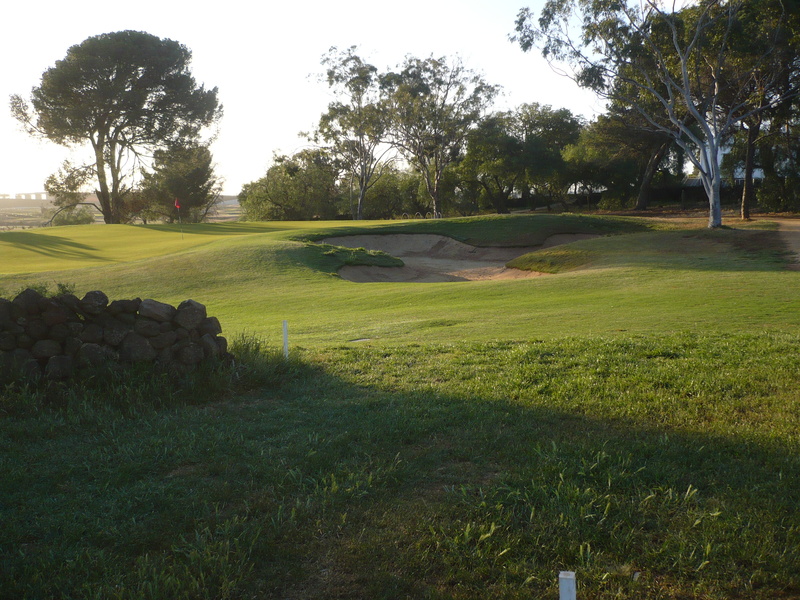 The golf course is testing, memorable and enjoyable to play for all levels of golfer. 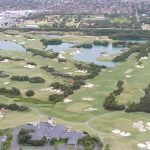 PCD has carried out this entire redevelopment of existing 18 hole golf course inclusive of planning for residential development. 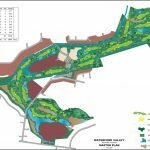 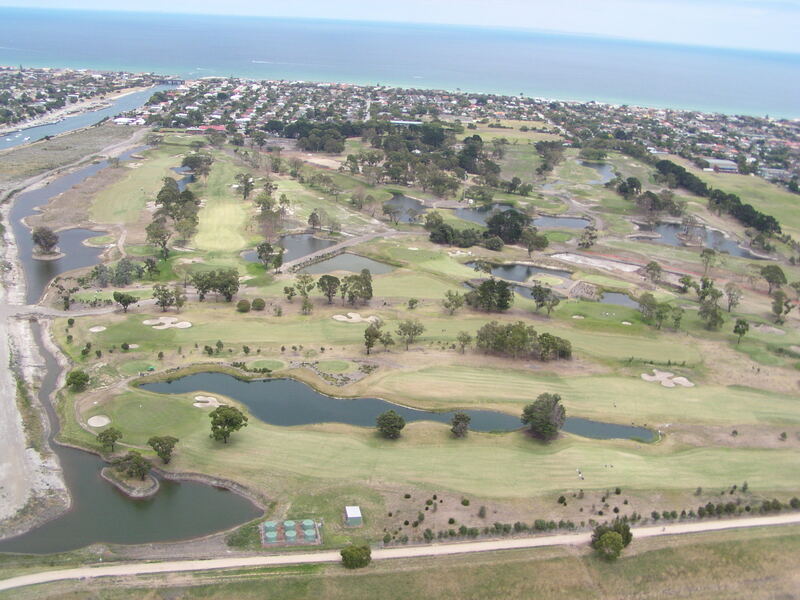 The complete redevelopment of the golf course occurred over five years with the project creating new fairways, greens, bunker systems, lakes and tees. 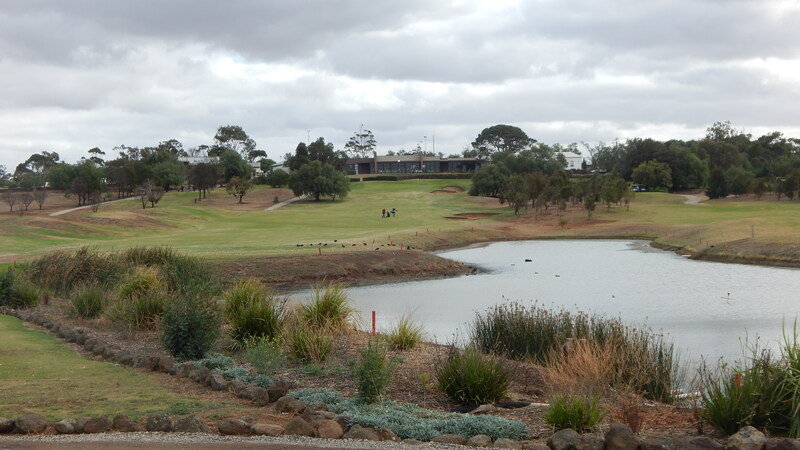 The previously European style landscaping has been replaced with indigenous trees and fauna. 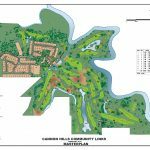 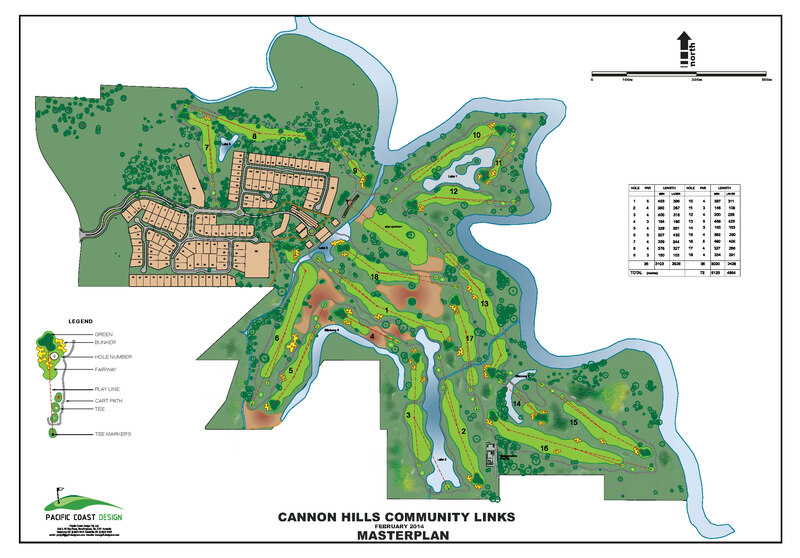 Cannon Hill Community Links is a proposed public golf course and residential community. 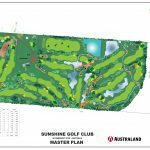 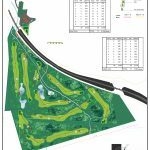 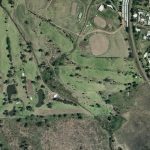 The Design has been undertaken by Pacific Coast Design in conjunction with BMD and will be an international standard Championship Golf course with an interface of residential surrounds. 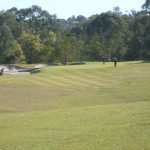 The 125 hectare site is located on the unused Brisbane City Council land on the western side of Bulimba Creek, east of Creek Road and north of Fursden Road at Cannon Hill. 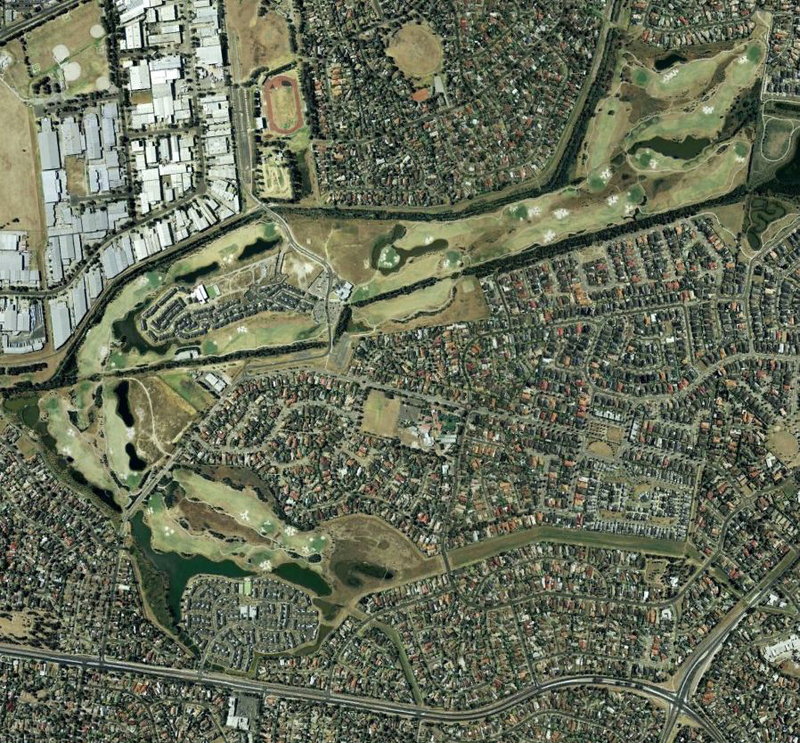 Bulimba Creek separates the development site from the existing Minnippi Parklands recreation area. 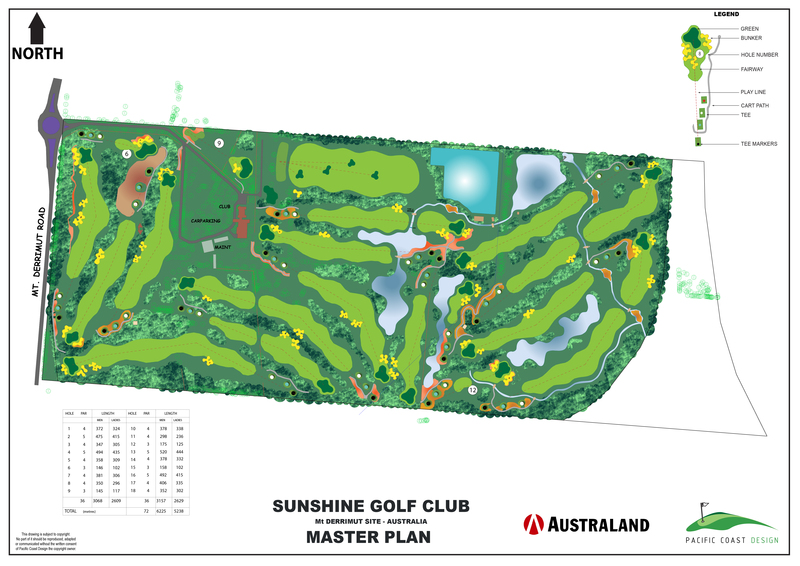 The development which will provide an 18-hole golf course open to everyone – just book, pay and play, and will be a challenge as well as enjoyable experience for golfers of all levels. 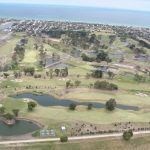 Along with the golf the project will include a residential development, open expanses for recreation, informal dining venues, walkways, bikeways and picnic areas. 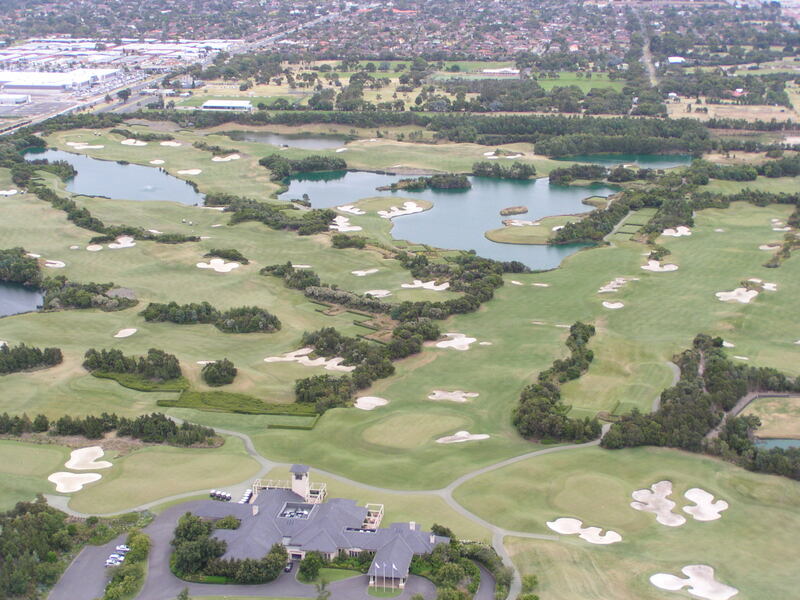 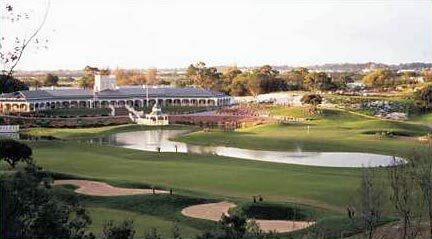 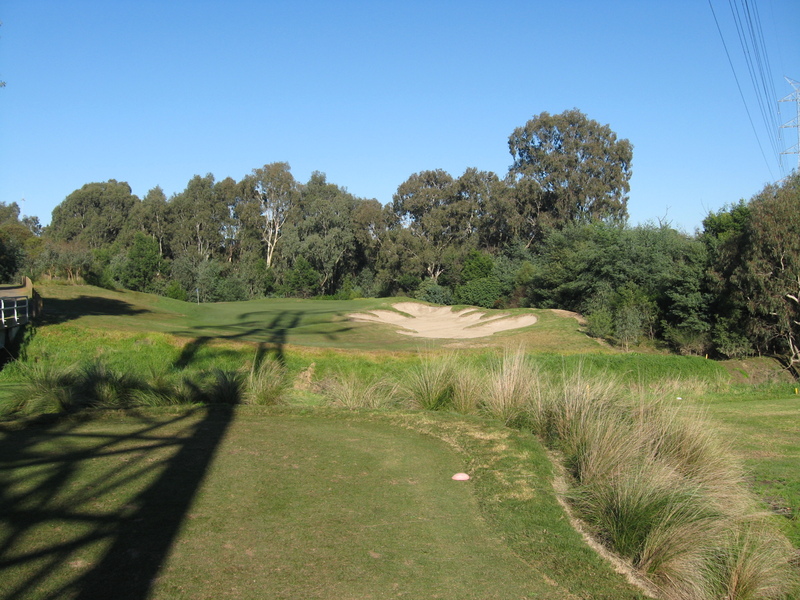 Completed in 1996 this Golf Course is linked to the Crown Casino and is available for invited patrons only. 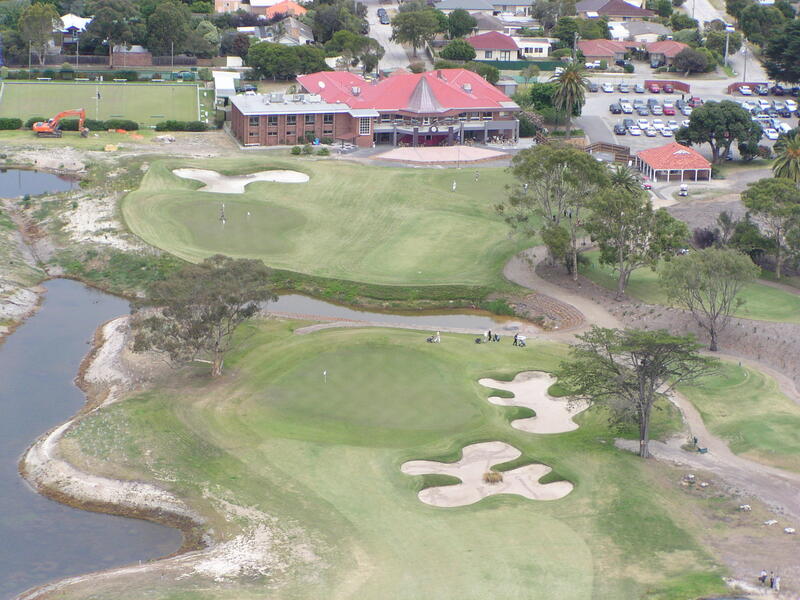 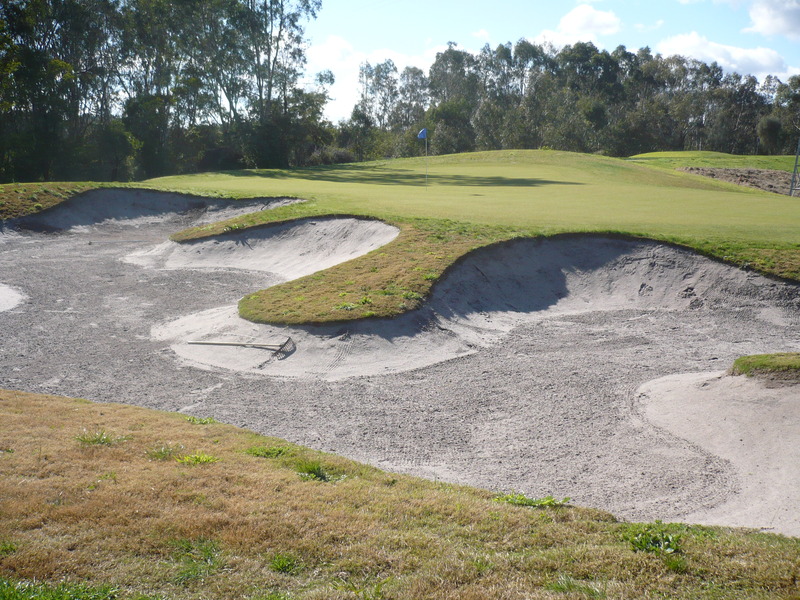 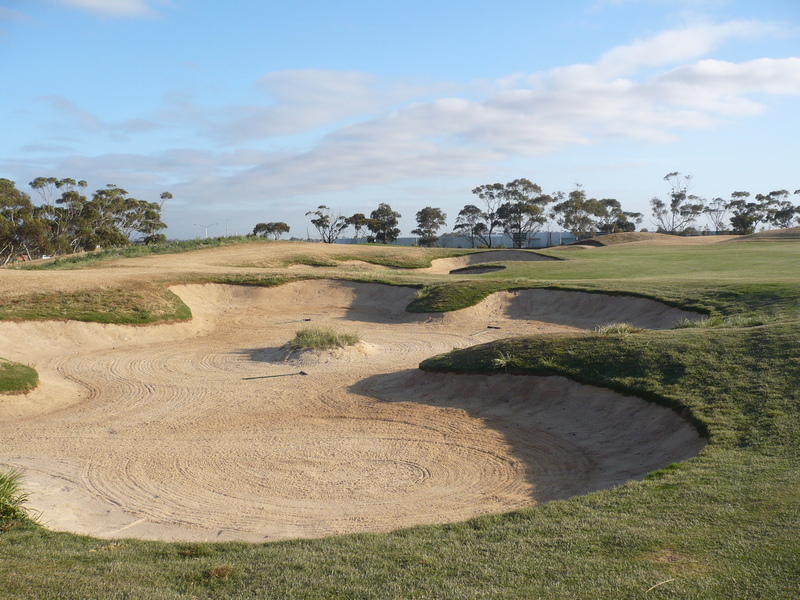 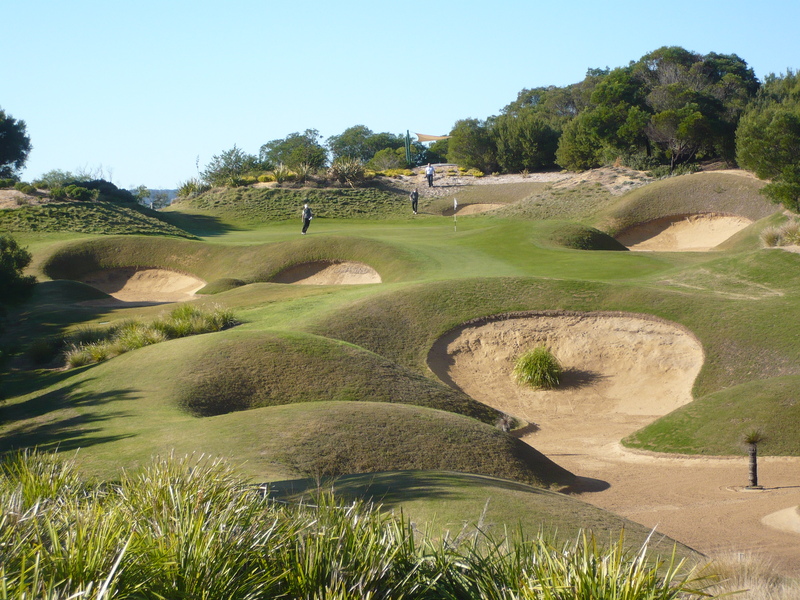 The Par 72 layout is considered one of the best groomed courses in Australia. 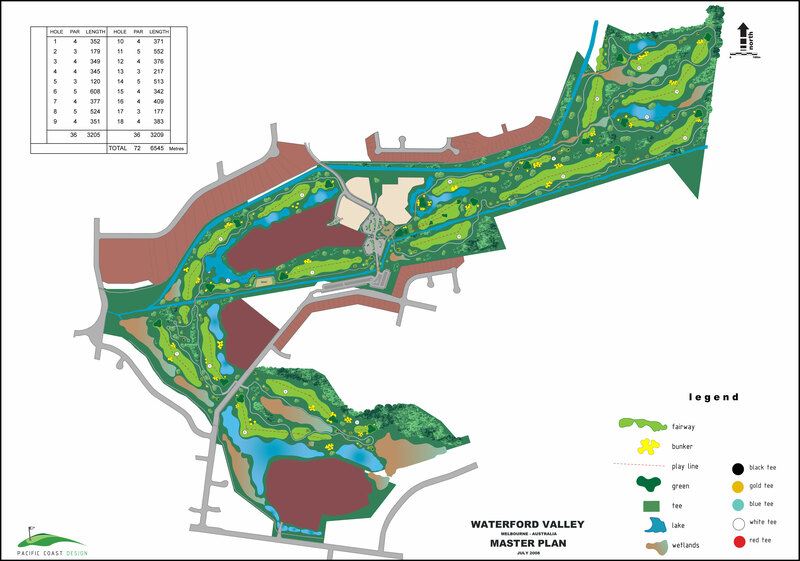 PCD Master Planned and designed the site originally to include private villas for the Hudson Conway Group but the Casino link has seen these not proceed. 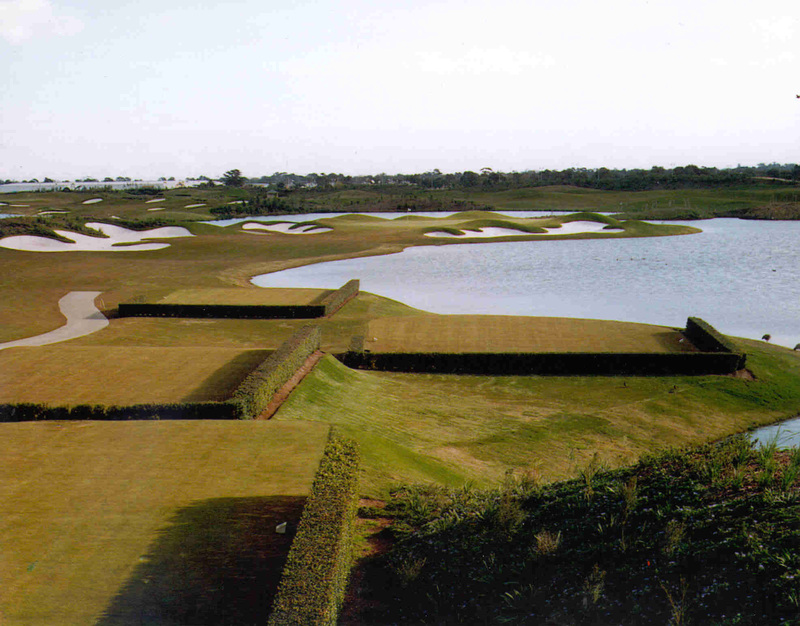 Four of the original holes were redesigned TWP) in the south to accommodate the additional land purchased after the Casino licence was awarded to Crown. 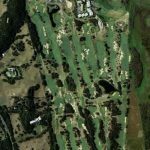 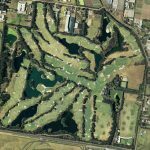 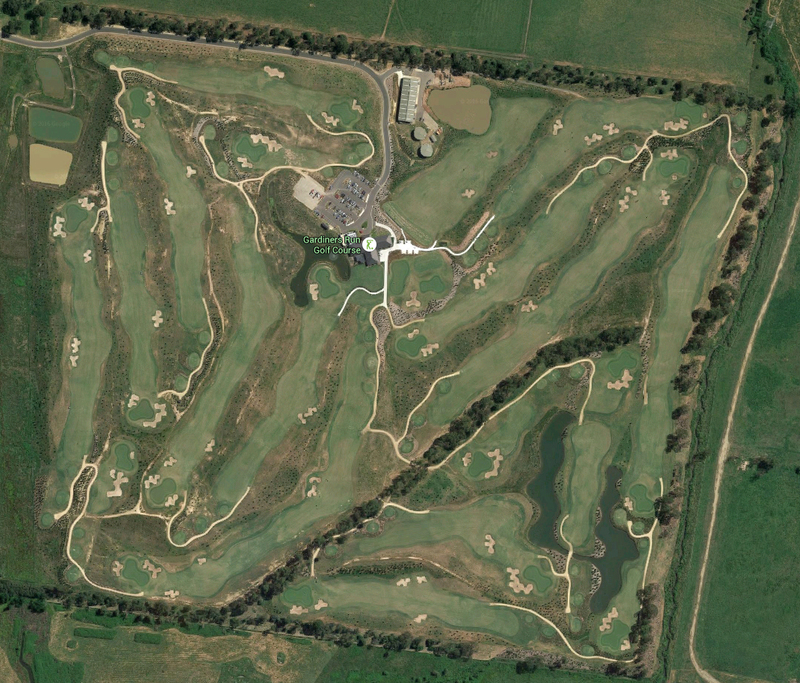 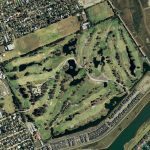 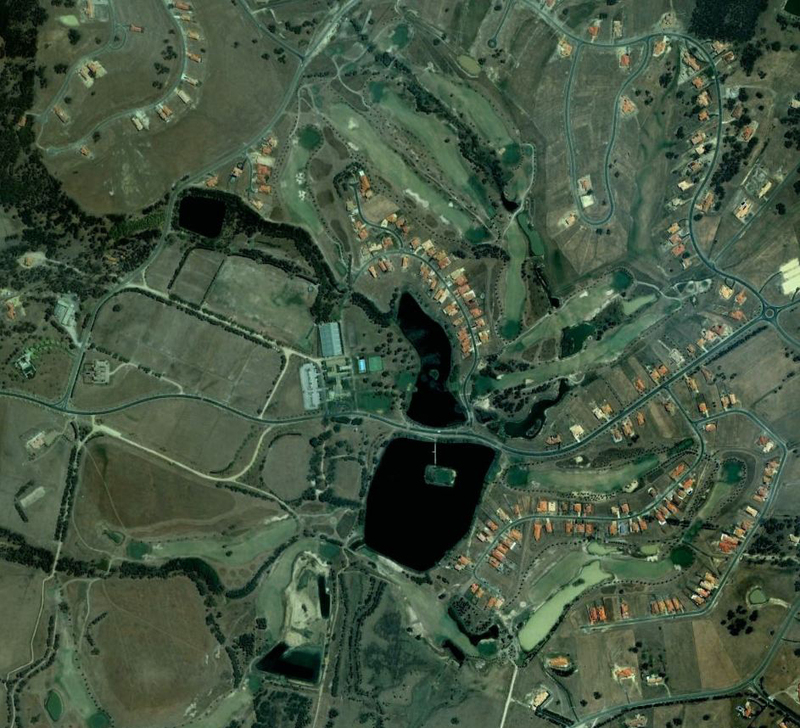 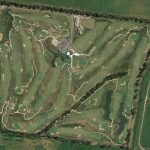 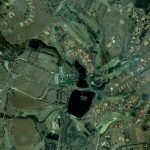 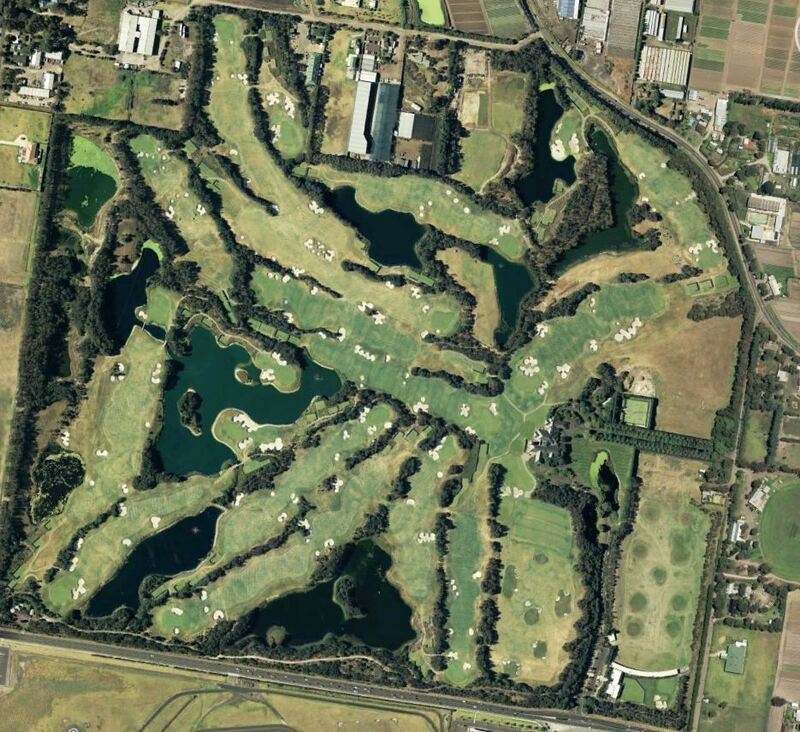 Hidden Valley Country Club in Wallan, Victoria is an existing 18 hole Golf Course (Master plan for 36 Holes), Country Club (tennis, swimming, sailing and horse riding), 980 Residential lots, proposed 100 room hotel. 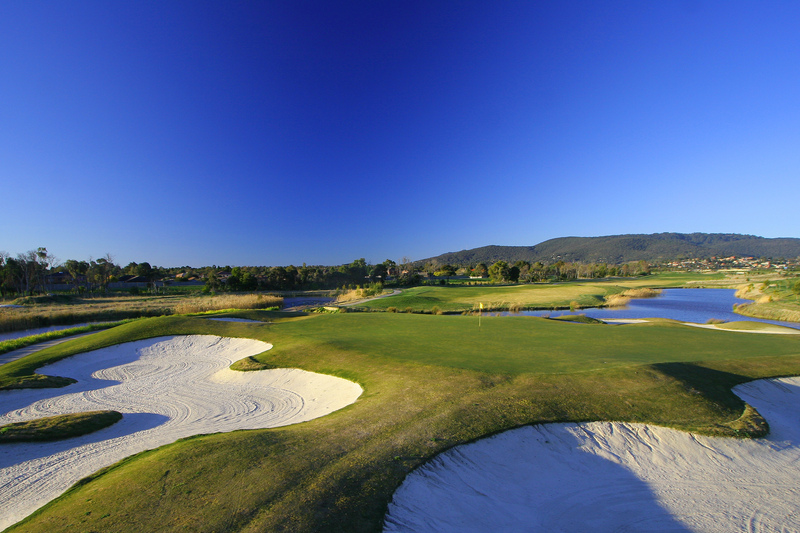 The first 18 hole par 72 layout winds through the lower valley amongst rolling hills, along the creek and lake system. 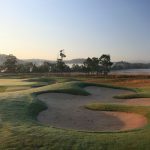 The spectacular 18 Par 3 island green is already appearing in the media as one of Australia’s postcard golf holes and is becoming known as one of Australia’s most testing island greens. 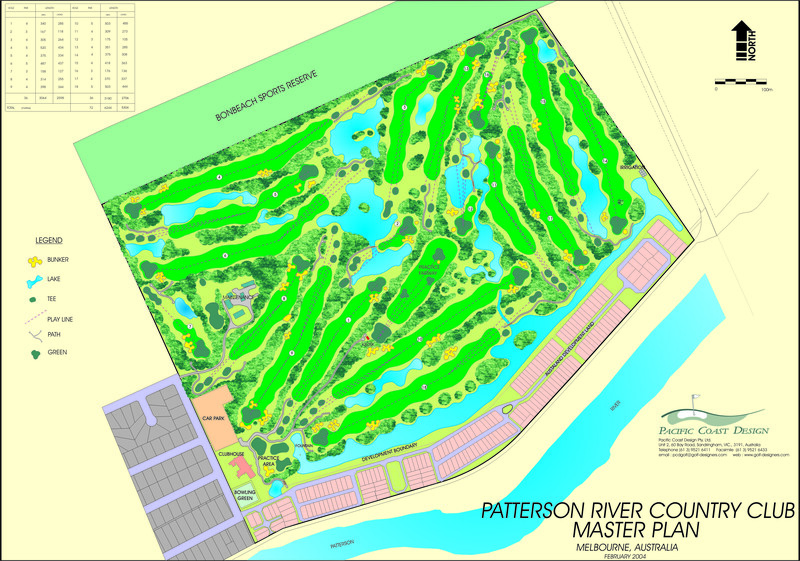 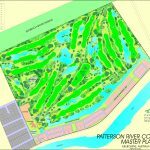 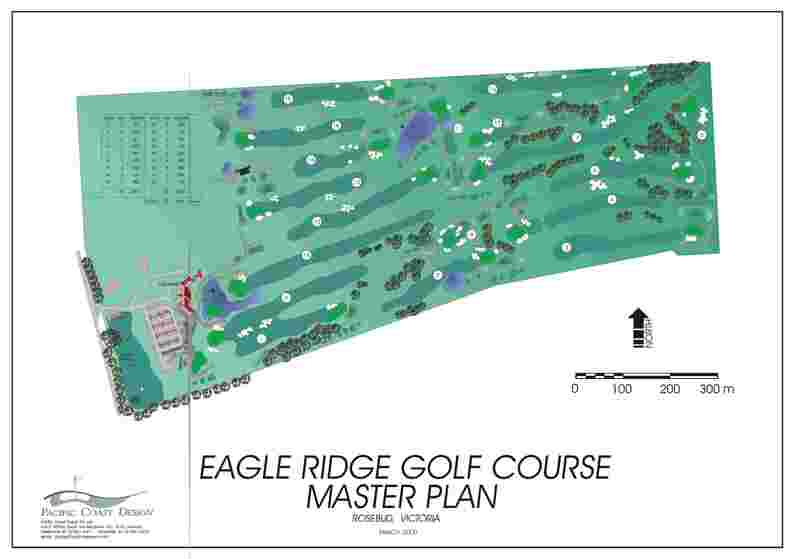 PCD has Master Planned and redesigned this entire 18 hole resort Golf Course. 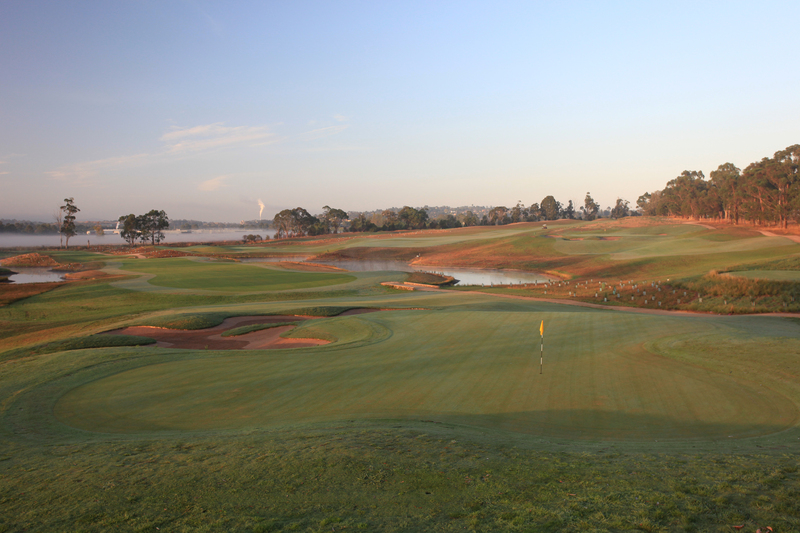 The new layout has been landscaped with feature colours and already gained a reputation of the “Augusta” of the Mornington Peninsula. 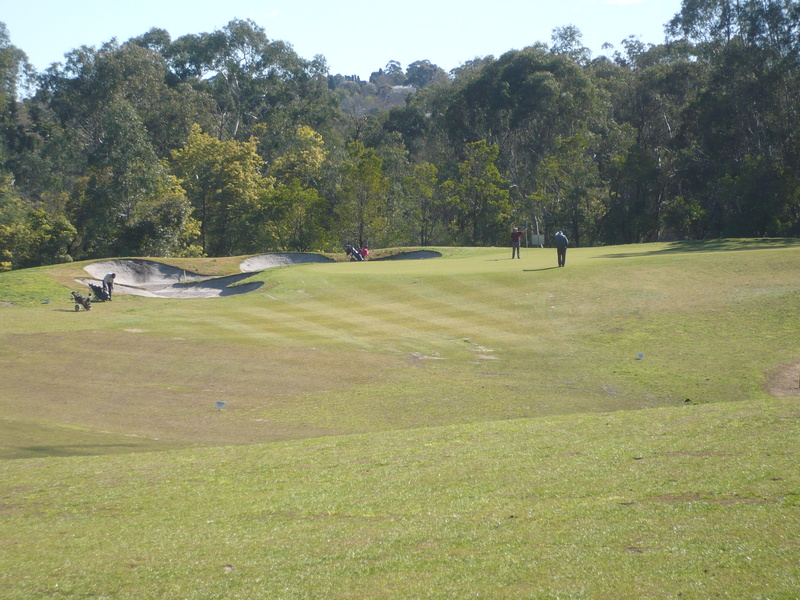 The course rewards accuracy and is a challenging test to golfers of all abilities. 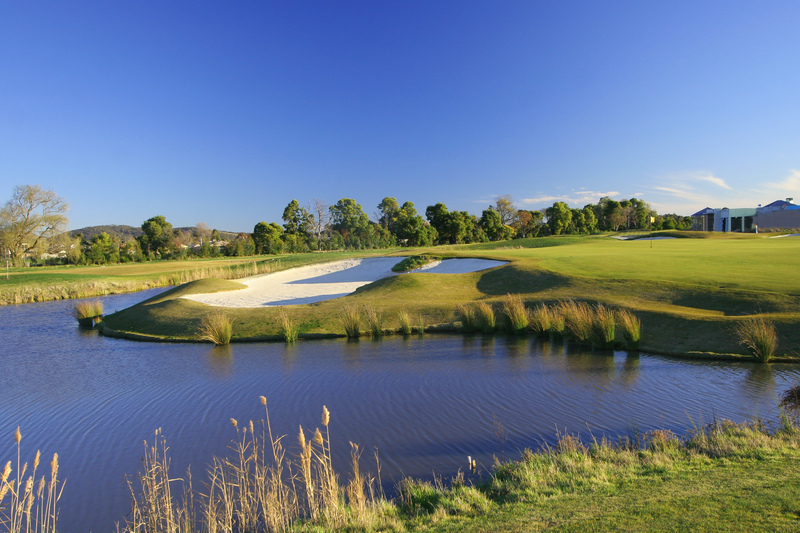 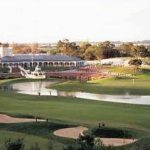 The course has lots of beautiful features including lakes, waterfalls, bunkering and a natural undulating landscape and rugged vegetation which gives it a visually stunning look. 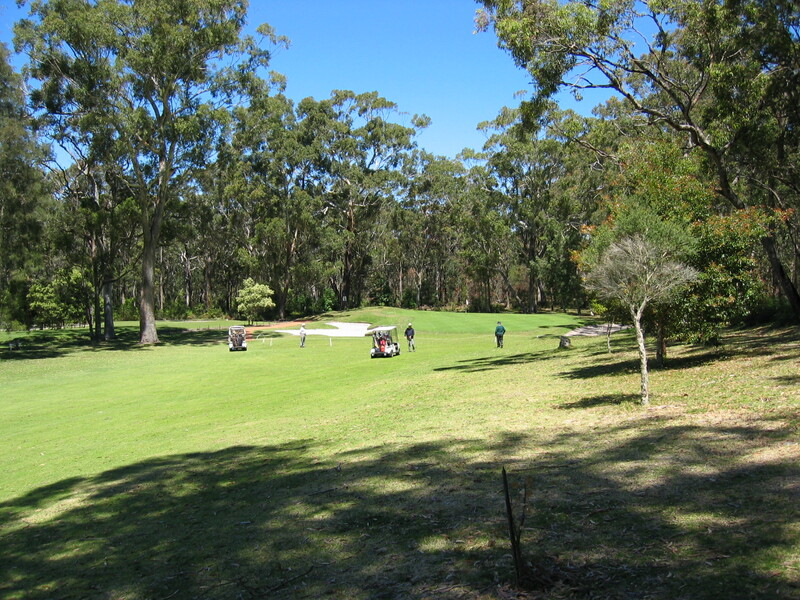 It is one of the top public access courses in Australia.